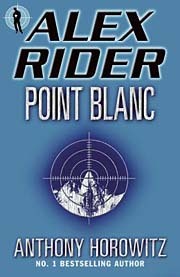 When an investigation into a series of mysterious deaths leads agents to an elite prep school for rebellious kids, MI6 assigns Alex Rider to the case. Before he knows it, Alex is hanging out with the sons of the rich and powerful, and something feels wrong. These former juvenile delinquents have turned well-behaved, studious - and identical - overnight. It's up to Alex to find out who is masterminding this nefarious plot, before they find him. Published in North American as 'Point Blank'.